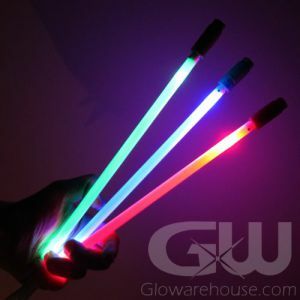 - 8 Different Color Modes all in one ball! - 3 Layer, 80 Compression Golf Ball with Surlyn Cover! - Light Activated LED Golf Ball! - You Choose the Color and When to Turn it On and Off! Light Activated Multi-Color 8 Mode LED Glow Golf Balls have 8 color and light settings including a fun color changing mode. 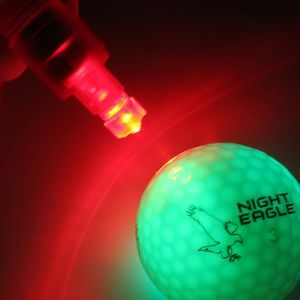 Our Night Eagle Glow in the Dark Golf Balls use a new Light Activation Technology to activate and deactivate the LED Golf Ball. Simply shine a bright Smart Phone Flash Light or one of our specially designed Red Golf Ball Activation Lights onto the activator circle to turn it on. Shine your light onto the activator circle again to turn it off. This means you don't have to "hit to activate" - and rush to try to find your ball and hit it again before the "hit to activate" timer turns the ball off on you! 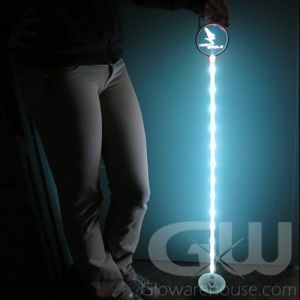 And you don't have to "charge" your ball in the light like traditional glow in the dark golf balls. 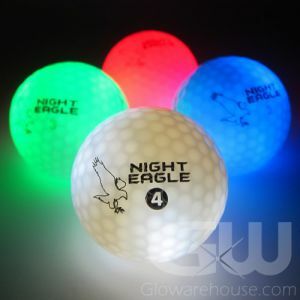 And these balls are much brighter and play just like a real golf ball compared to the glowing golf balls that require a glow stick to light them up. 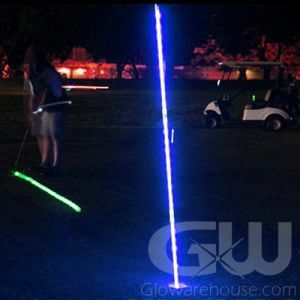 So keep playing when the sun goes down, set up your own night golf pitch and putt in your back yard or play a full glow golf tournament with Night Eagle LED Golf Balls from Glowarehouse.com! Instructions: Light up LED Golf Balls require a light for activation. 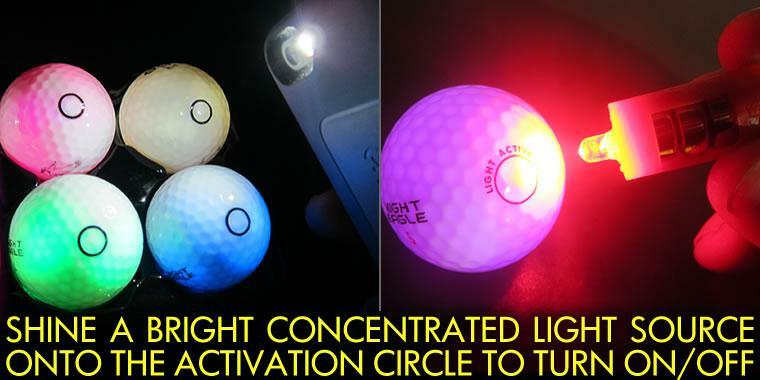 Simply shine an LED Golf Ball Activator Light or Smart Phone flashlight onto the printed activator circle to turn it on and off, or to circulate through the 8 color settings. Note: We have found that iPhone flashlights have the best results compared to other smartphone lights. 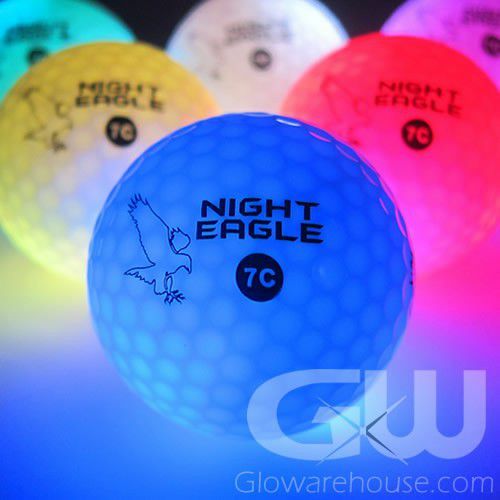 Night Eagle Golf Balls are packaged in plastic clamshell packaging. For best results it's recommended to keep the Golf Balls stored in their packaging to help prevent outside light activation. 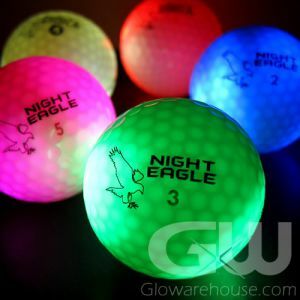 Looking for single color Night Eagle Golf Balls for your glow golf tournament? 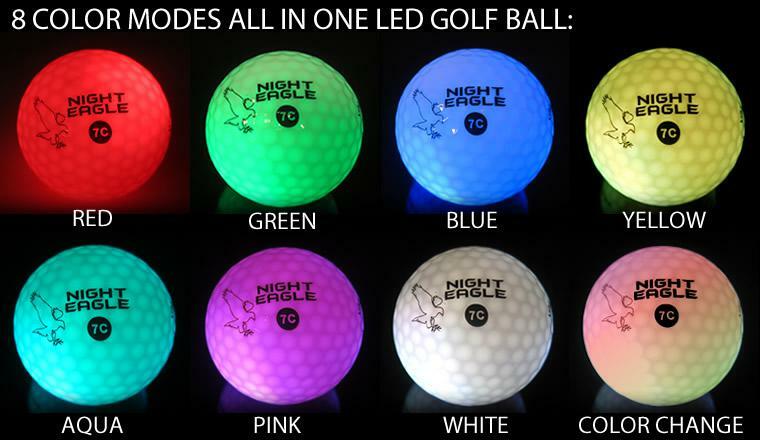 Check out our Single Color LED Glow Golf Balls.